Many of you will know by now that BIS Publications (http://www.bispublications.com/) set up a sister company BIS Publishing Courses (http://www.bispublishingcourses.co.uk/) and during 2011 started delivering publishing courses for authors who want to self publish successfully. For the last few years we have experienced a noticeable increase in the amount of manuscripts sent to us on a daily basis. They come at a time when more and more bookshops and book-chains are closing down around in the UK. In the last few years we have seen the closure of Borders UK, Books etc. Ottakar's, which was taken over by Waterstones and then the reduction of Waterstones branches. Specialist bookshops in the African / African Caribbean community have not faired any better as many of them have also closed down over the last few years. I mention the above as an introduction to why we set up the publishing courses. It is our belief that even, though for some this could be the hardest time to try and get their book(s) published for others this is a great and exciting time to have their book(s) published. This could be a great and exciting time for you to if you know what you are doing. We set up the BIS Publishing Courses is to help all of those who have been sending their manuscripts to publishers with the hope that they will publish their work. Unfortunately this becomes more of a dream than a reality. There are many reasons publishers will not take on authors work, believe it or not most times it’s not due to the work (manuscripts it self). Some of the reasons are highlighted on our courses (http://www.bispublishingcourses.co.uk/). You may be thinking that with bookshops shutting down and many publishers not signing authors, so what’s the point in writing a book? Remember what I said earlier, that this is a hard time for some, but great and exciting time for others. 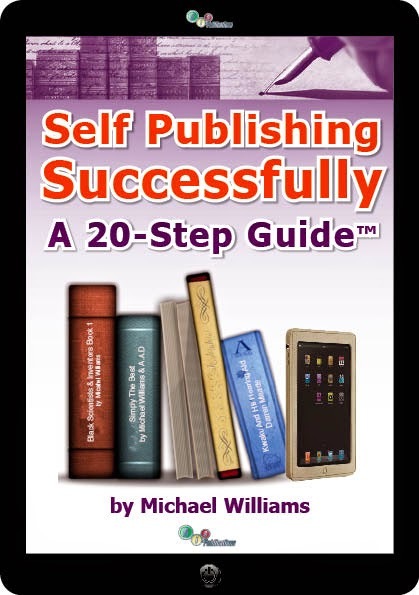 As a self-published author you can save yourself a lot of time and heartache if you know what you are doing. Technology has made becoming a successfully self-published author so much easier than any other time in history. On the BIS Publishing courses we will show you how using modern technology you can self publish successfully even if your a technophobe. We will show you the most cost effective ways to publish your book and also show you how to reap huge profits from the sales of your book, plus much much more. Labels: Introducing BIS Publishing Courses.